What’s so great about the Great Wall (Part II)? | Oh, the Places We See . 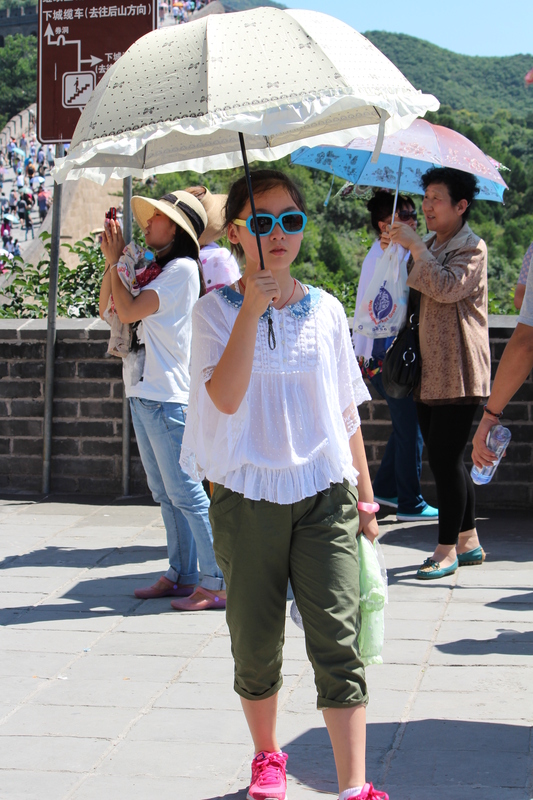 . .
A glimpse of the many people (with umbrellas on this hot day) at the Great Wall at Badaling. 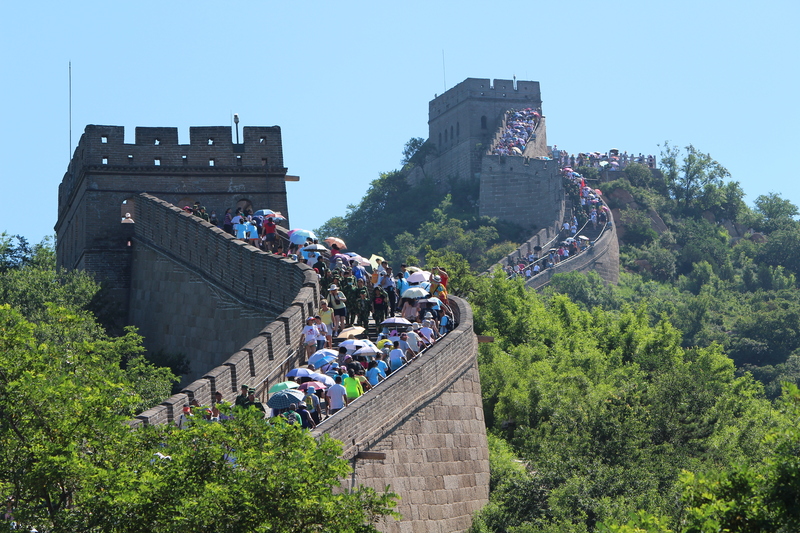 The Wall’s greatness was evident to us the minute we turned in to the parking lot for the many tour buses and visitors at Badaling. It’s the place where history, culture, and magnificence all come together in China at one iconic landmark. As we wrote about China’s Great Wall in our first post (What’s so great about the Great Wall? ), we stood in awe at the construction of the wall forming what is metaphorically referred to by many writers as a lumbering dragon that curves, swaggers, and rests along the ridges as protection from invading forces. 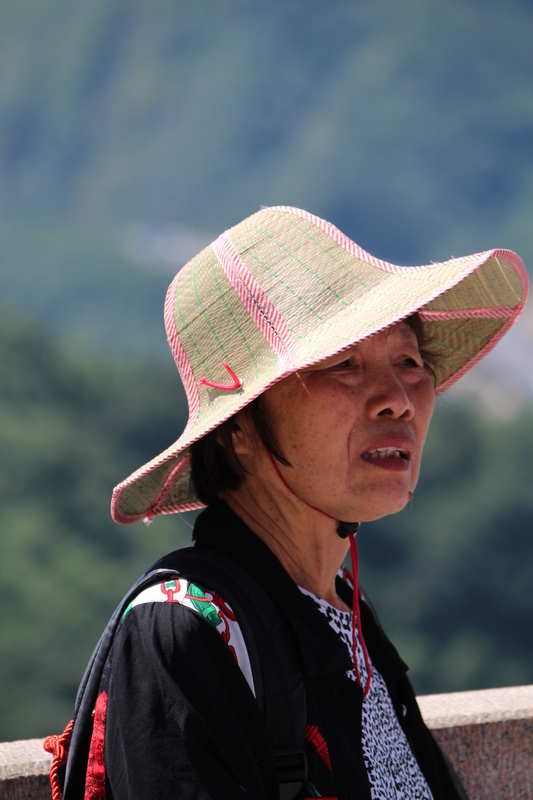 But there was more to our visit to the Great Wall. And that’s where Part II comes in. What’s so great about the Great Wall besides the wall itself? For us, it was the people — the people who made the trip to pay homage, sight see, or just check the wall off on their bucket list. 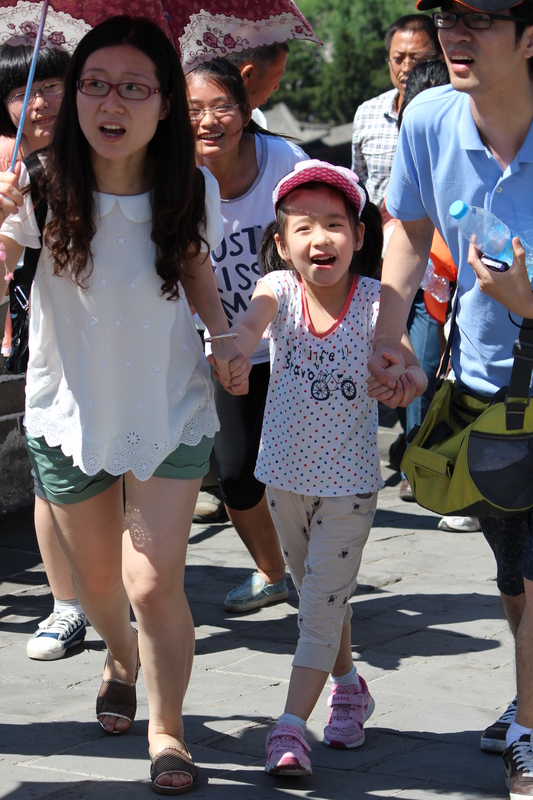 The Great Wall is a destination for families, hikers, couples, singles. From all over the world, people plan trips to see even a small section of this never-to-be-duplicated-again Chinese landmark and to take pictures reveling in the fact that they “made it” to their go-to place. We watched as some families pulled little ones up by their arms, dangling short legs made weak by the climb. 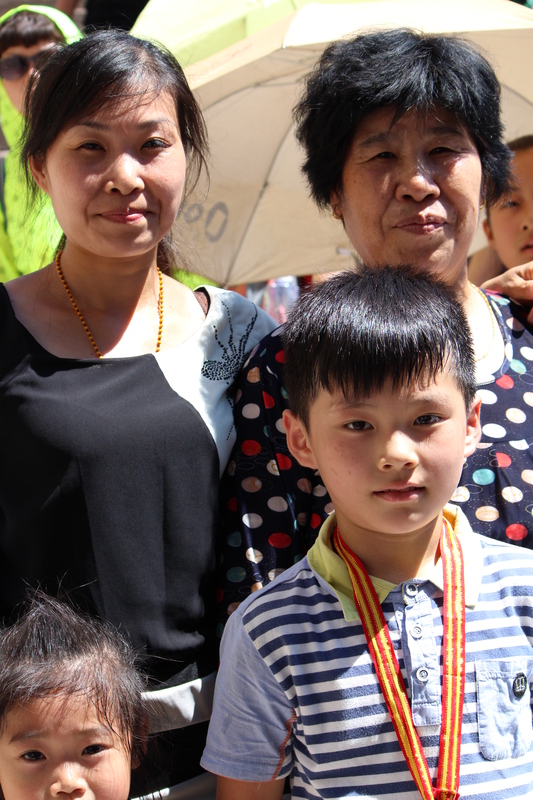 But with the determination that the whole family would scale The Wall, moms and dads cajoled, bribed, and encouraged until the goal could be reached. We noticed, too, the young people — what they wore (some in Western attire), how they talked on their phones (Yes, there’s evidently cellphone service on The Wall! ), and how they snapped pictures of each other at every turn. Two young girls enjoyed posing for us. Note the Western logos and writing as well as the cute accessories — sunglasses, stockings, etc. They were having so much fun! 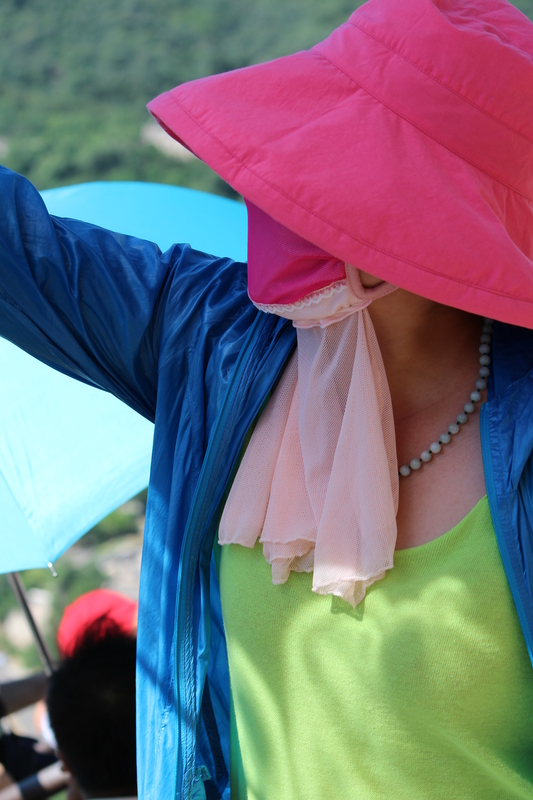 To protect themselves from the unrelenting sun, most people came prepared. Umbrellas (plain or frilly) were the shields of choice, but also popular were foldable hats, sunglasses, and various face coverings. 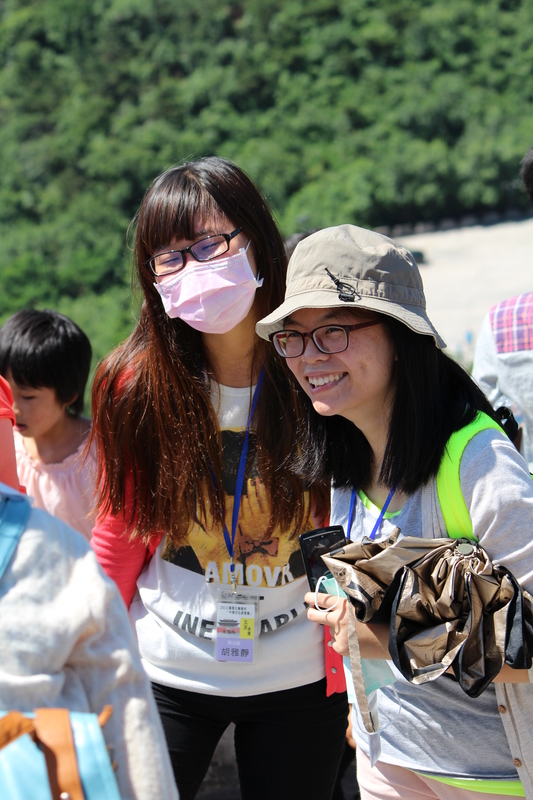 Backpacks filled with bottled water, lunches and snacks, cameras, and washcloths made their way up the Great Wall, too, and families spread picnics wherever there was a level spot. Climbing the wall could be an all-day affair if your goal was to reach a distant watch tower or just one of the many jut-outs where people stood and pointed and talked about the scenery ahead. And so, the greatness of the wall becomes the triumph of the people. The people who love their own country, the people (like us) who love visiting, and the people who “made it” to the point on the wall that was their goal for the day. For whatever reason the people came, we noted one almost-universal feeling — that sense of accomplishment for seeing the Great Wall up close and personal! Have you been to the Great Wall? If so, we’d love to hear your impressions. Please leave us a comment below. 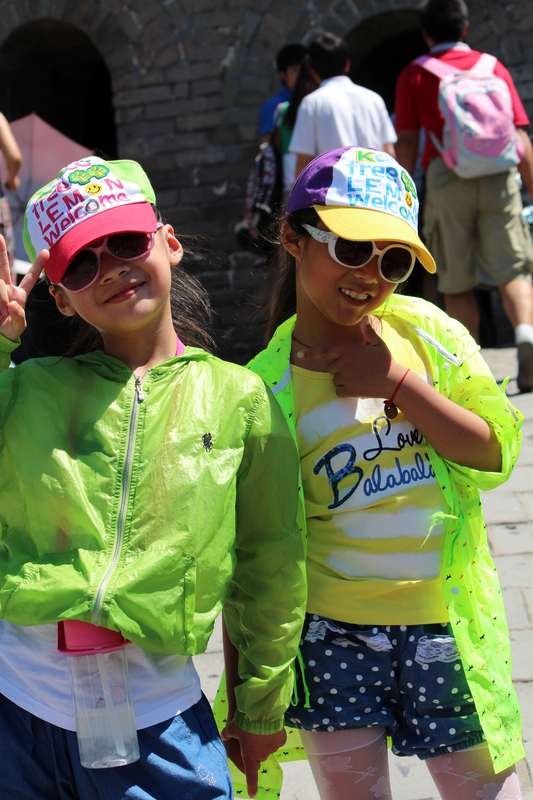 And if you’re interested in reading more about our trip to China, just click here or on the China tab at the top of this page. You’ll find a listing of our posts about this wondrous country. 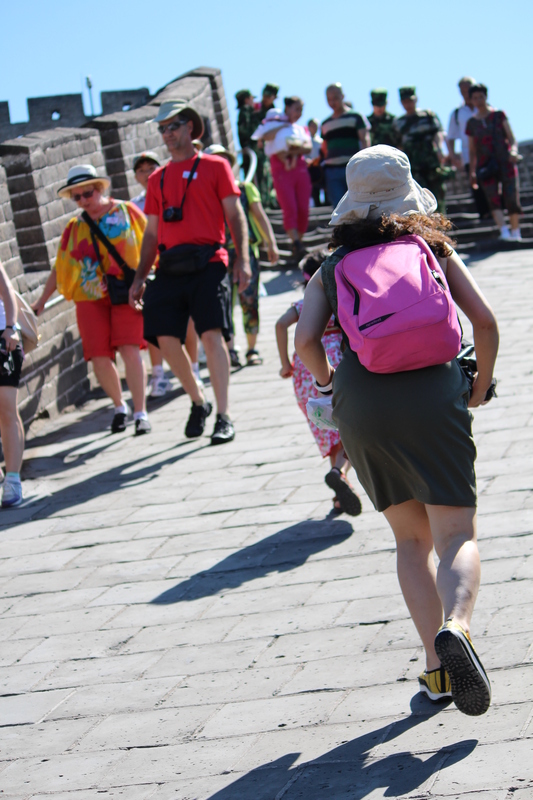 This entry was posted in Destination, Travel and tagged Badaling, China, Great Wall. Bookmark the permalink. 11 Responses to What’s so great about the Great Wall (Part II)? You may have visited the Wall on an even busier day that the day we were there! We noticed two things that we had not anticipated: first, the steepness of the climb and second, the volume of people wanting to experience the climb. But I’m glad so many are able to see so much. It really is an experience to remember. 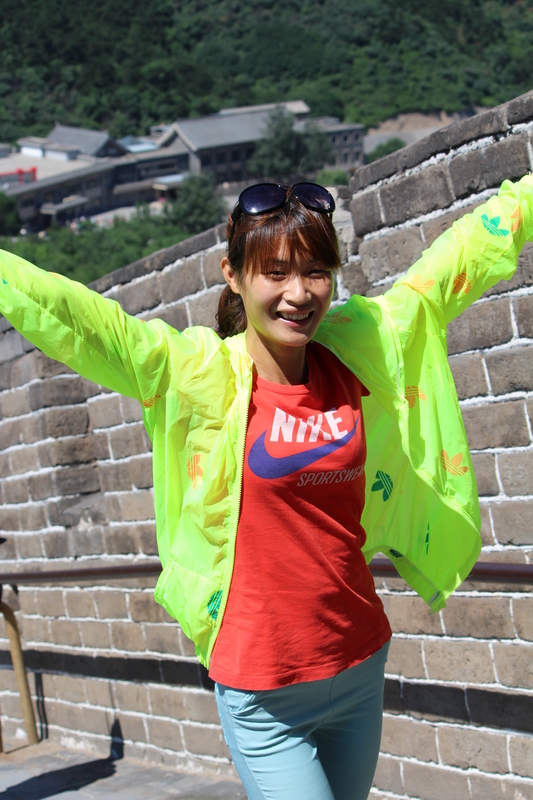 That is such a wonderful, joyful perspective of the Great Wall, Rusha! Love these pictures. It was a wonderful, joyful time! Would love to go back! I enjoyed your photographic tour. Thanks for posting, I hope you took bottled water with you on you walk across The Great Wall. If ever I get to go and see it myself, I’ll make sure to take an umbrella and hat or maybe go there when the weather is not hot. I agree with the last statement. We should have known that a summer trip might be unbearable. But when you’re there, you’re there, and you might as well see as much as you can. Oh, I love living vicariously through your lens! Stunning phots, Rusha! Thanks. It was a memorable day!